RENEWED – Episodes – Season 5 | Where Is My Screen News? Where Is My Screen News? Find out if your favorite TV show been Renewed or Cancelled right here! When is My Show Returning? The comedy wins another season. Showtime has renewed the comedy Episodes for a fifth season. The ratings haven’t been great for the series, but Showtime keep on renewing it. The fourth season only averaged 350,000 viewers over the course of 9 episodes. That figure is down 35% from season three. 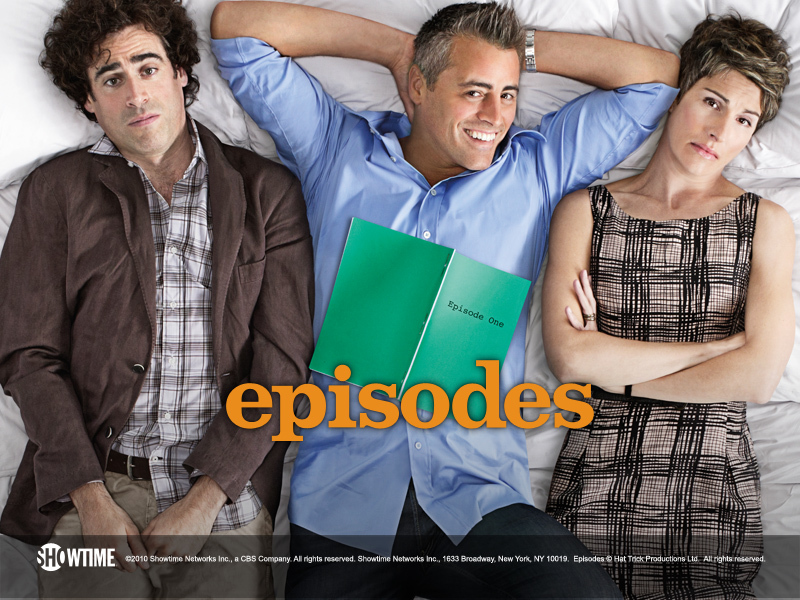 Episodes continues to tell the tale of a married writing team (Tamsin Greigas and Stephen Mangan) as they try to reproduce their British TV hit for an American network with Matt LeBlanc as its star. Others in the cast include John Pankow, Kathleen Rose Perkins, and Mircea Monroe. Posted on June 12, 2015, in Renewed, Returning, Showtime, TV and tagged Comedy, Episodes, Episodes Renewed, Episodes TV Show Renewed, Matt Le Blanc, Renewed, Showtime, Tv Show. Bookmark the permalink. Leave a comment. Who are the Highest Paid Actresses in TV? Who are the Highest Paid Actors in TV? Head over to the When is My Show Returning and New Shows pages to see the complete lists. ABC ABC Family AMC BBC America Cancelled CBS Comedy Central Comics CW Ending FOX FX HBO Hulu Marvel Movie News Movies NBC Netflix Renewed Returning Showtime Starz Syfy TNT TV TV Land USA USA Netowrk What's Hitting the Big Screen this Week?